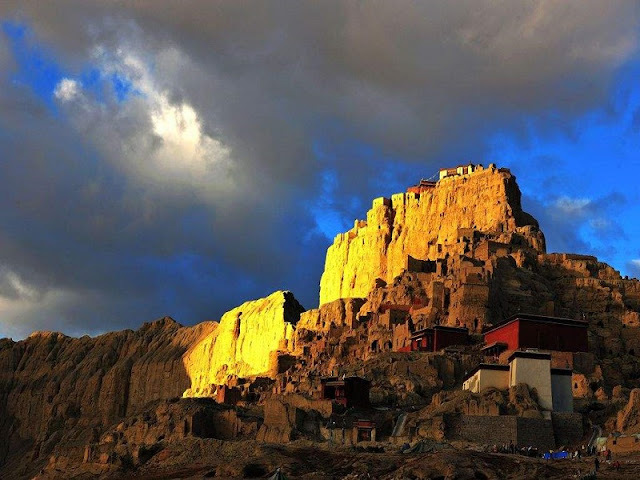 When you on a Tibet Lhasa Tour, you can hear of so many legends spread far and wide in Tibet. 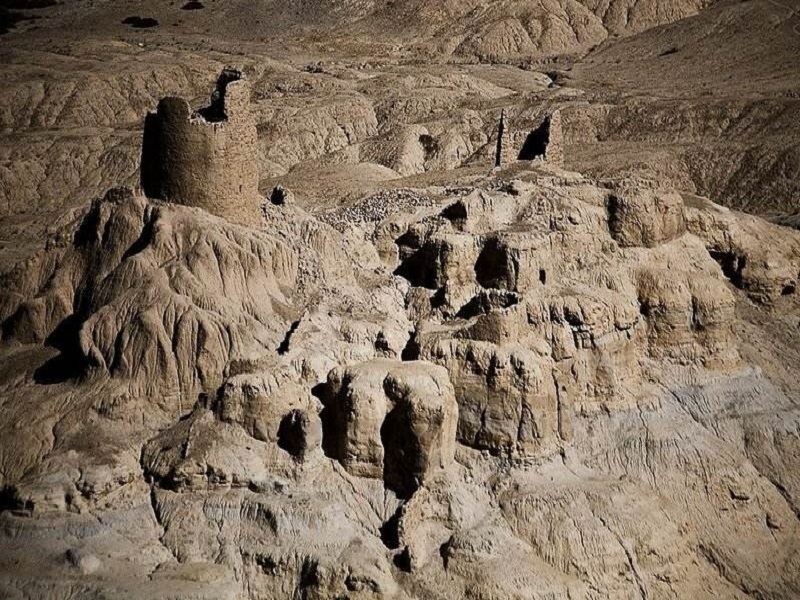 The ancient land has been shrouded in mystery through thousands of years. Even now, you can find most of the relics in the trip of Tibet. One of the most mysterious legends is the Gurge Kingdom, which once was a powerful nation more than 700 years but suddenly disappeared. The Gurge Kingdom, with an area sprawls over 180 thousand square meters, located on a mountain in Ngari. Hundreds of buildings, temples, and caves widely distributed on the mountain. You can see the huge ruins of the relic far away from here. 5 temples and palace are well kept through hundreds of years, and you can find exquisite Buddha statues and colored murals remain there. 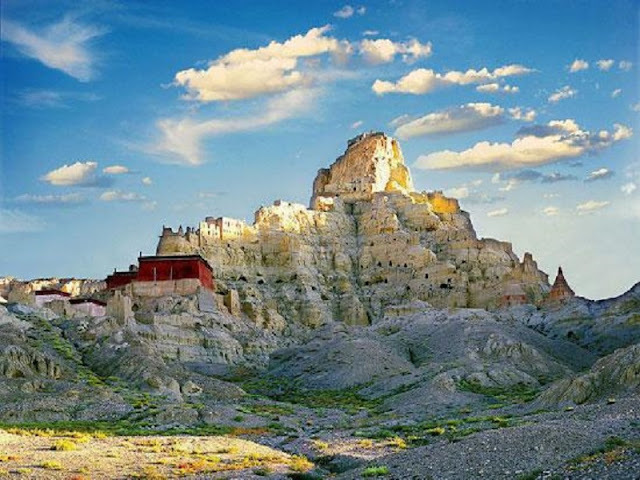 The Gurge Kingdom is founded around the ninth century after the collapse of The Tubo Dynasty and is a continuation of The Tubo Dynasty. 16 kings were born through more than 600 years before the death of the dynasty. 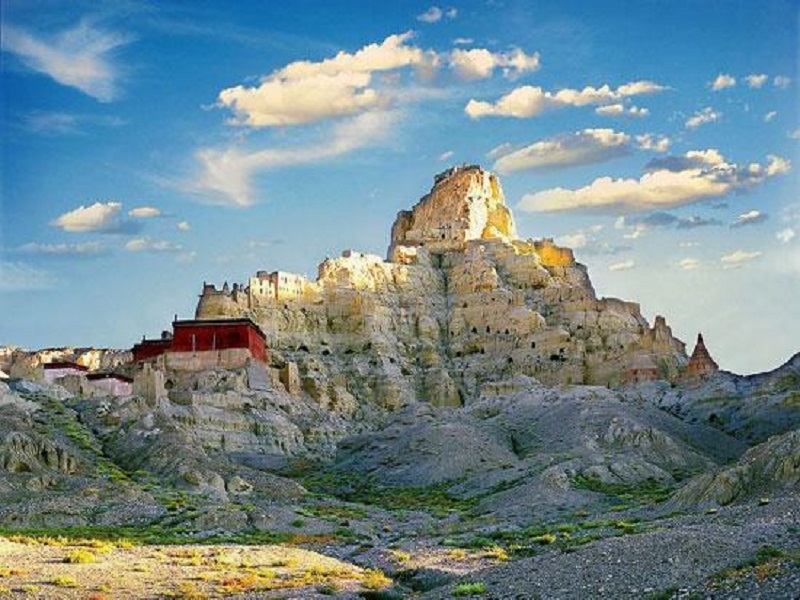 The Gurge Kingdom is also a place where Tibetan Buddhism was protecting from war and made development after The Tubo Dynasty. 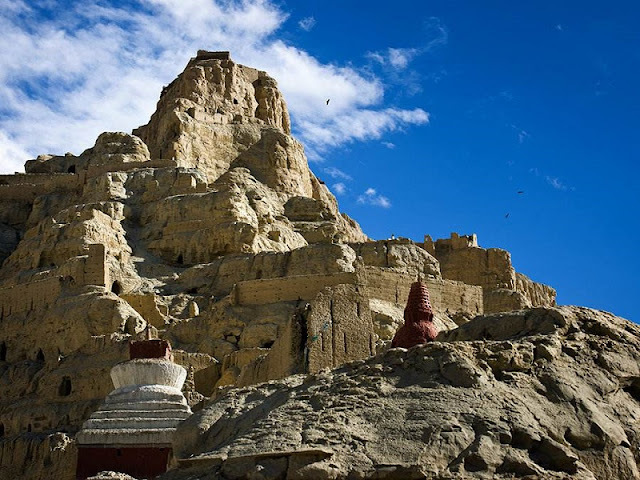 Lots of precious Buddhist statues, sculptures and murals were unearthed in recent years, especially a Buddhist statue called silver eyes of Guege which is the top of artworks in The Gurge Kingdom. The most mysterious thing about The Gurge Kingdom is how the powerful country suddenly came to an end. Where did the tens of thousands of citizens go? Did they survive from the war or natural disaster? There are no answers.